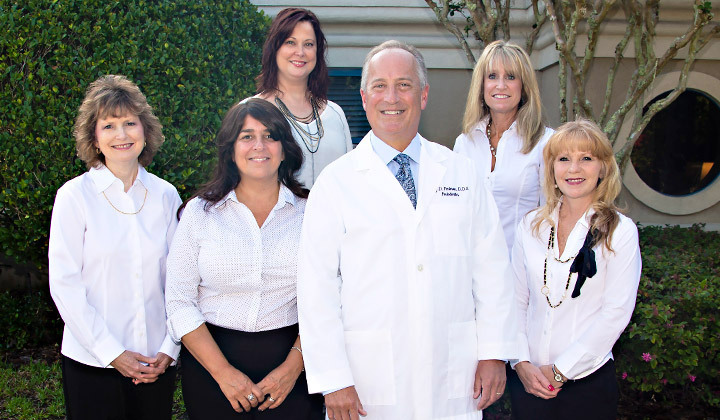 Our friendly team is here to provide you with the highest level of care. We are a periodontal practice, specializing in the treatment of everything to do with your gums and the bone surrounding your teeth. Dr. Gary Perlman is a highly qualified expert in dental implant services, gum disease treatment, and cosmetic gum procedures that beautify your smile. We have been practicing in the Jacksonville area since 1989, and have been in our modern and beautiful location since 1995. We incorporate state-of-the-art, minimally invasive technological advances in periodontics to provide our patients the most efficient treatment with the best possible results. We pride ourselves on the personal care and consideration we show each of our patients. 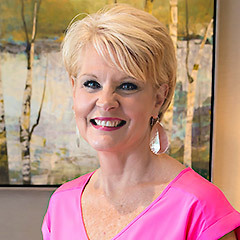 Our staff is comprised of highly trained and experienced professionals who are here to make your dental procedure as comfortable and stress-free as possible. 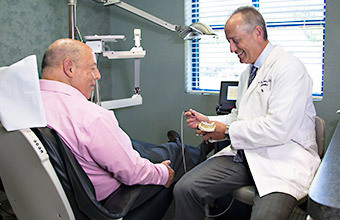 With over 30 years of experience, Dr. Perlman is a highly trained and skilled periodontist who uses the latest breakthroughs and techniques to prevent, diagnose and treat gum disease, place dental implants, and perform bone and soft tissue grafting procedures. With the help of laser technology, ultrasonic cleaning tools, and digital imaging capabilities, Dr. Perlman is able to use advanced diagnostic tools and minimally invasive procedures to treat his patients in an effective and efficient manner. 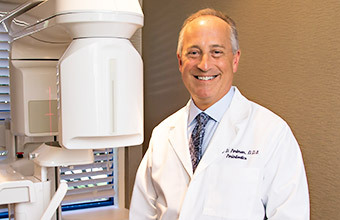 He uses a dental laser to eliminate gum disease quickly and effectively, his hygienists use ultrasonic scalers for thorough yet gentle cleanings, and a state-of-the-art imaging system provides Dr. Perlman with 3D images of your entire jaw bone to precisely plan your dental implant treatment. Learn more about our Advanced Technology here. 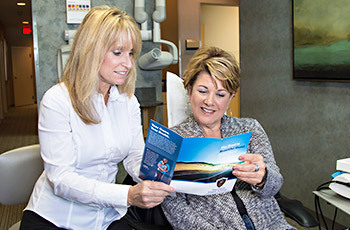 We spend the time to educate our patients about their gum health. We have your total comfort and well-being in mind at all times. Dr. Perlman has a reassuring bedside manner and a genuine concern that his patients feel at ease. Our friendly staff are always there for you—before, during and after your treatment. We do everything possible to make your treatments as comfortable and pain-free as possible. For local anesthesia, Dr. Perlman uses a computer-regulated injection system that keeps you comfortable during your treatment. He also offers oral sedation and nitrous oxide if you need stress alleviation during the procedure. We offer the innovative LANAP® laser gum disease procedure to treat gum disease, and are also one of the first periodontal practices to perform the revolutionary Choa Pinhole® Surgical Technique as a minimally invasive treatment procedure for receding gums. Dr. Perlman uses dental lasers for faster, more comfortable periodontal treatments. Dr. Perlman uses the LANAP dental laser to treat gum disease by targeting bacteria and diseased tissue without harming surrounding healthy tissue. Because there is no cutting or sutures involved, your gum treatment is more efficient and more comfortable, with less post-treatment discomfort. Learn more about LANAP Laser Gum Disease Treatment. Dr. Perlman is one of the pioneering practitioners in the innovative Choa Pinhole® Surgical Technique for the treatment of receding gums. The pinhole technique uses specialized tools and techniques to repair a receding gumline, without the need of painful incisions or sutures. The entire mouth can even be treated in just one visit. Learn more about the Choa Pinhole® Technique for gum recession. Dental implants are the most stable and longest lasting option for replacing missing teeth, and are the closest you can get to healthy, natural teeth. Dr. Perlman precisely plans the placement of your dental implants, using our CT scanner to produce detailed 3D images of your teeth, gums and jawbone. These images allow Dr. Perlman to plan your implant procedure without the need for exploratory cutting of the gums. Dr. Perlman partners with excellent dentists and prosthodontists who will create the high-quality crowns, bridges and dentures that attach to the implants.